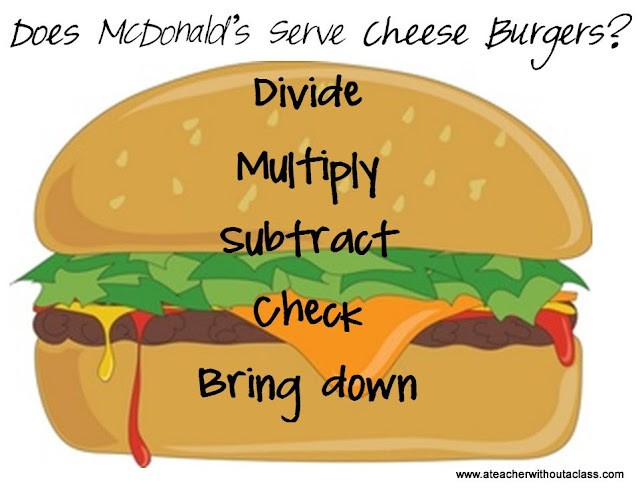 A Teacher without a Class: Long Division and Cheeseburgers! 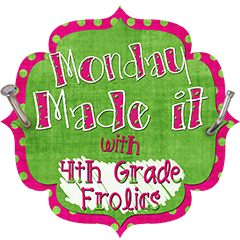 Today I'm linking up with 4th Grade Frolics and her amazing Monday Made it! I found these great containers at the Target Dollar Spot. I knew exactly what I wanted to make! 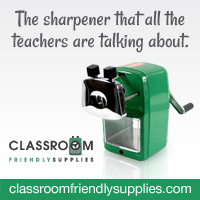 A cute little reminder for students to have on their desks while the work out their long division problems. I also created an anchor chart! Does McDonald's Serve Cheese Burgers? I'm really please how they turned out! I found the clipart from Pam's Clipart! I made this one page poster, and the six cut outs. There are six cheeseburger cartons in each package, so it perfectly coincidences! You can download the file that from my google drive! Find other great ideas at Monday Made It! Come back on Wednesday, and find other great dollar finds! What a cute idea!!! I love the carton that they go in!!! I saw these and tried to think of how I could use them. This is such a great idea. Excellent idea! 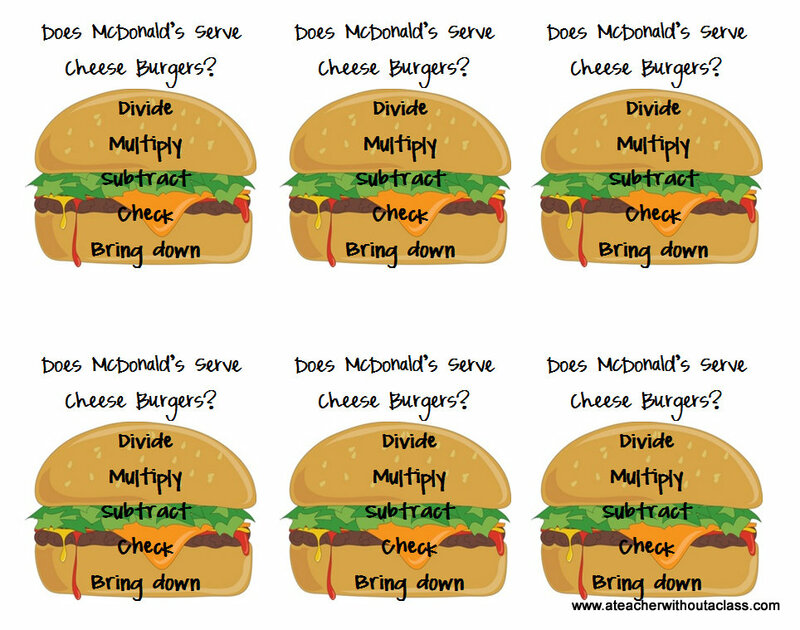 My teaching partner and I use this same approach to teaching long division and I actually have a set of these fry boxes...can't wait to try this out! Thanks for sharing your great idea! Love the visual! My kids loved the saying last year (I don't know why it was a bigger hit than usual). Thanks for sharing! These are super cute! We used the quote "Dirty Monkeys Smell Bad"...haha! I like this better! I saw those containers and was trying to brainstorm a use for them! Super cute! How creative and cute! Visual learners will love this!